Innisfree Olive Real Cleansing Tissue 30 ct sells for 5000 KRW. With 30 count Cleansing Tissues. Resealable, and comes with Hard Plastic Lid Cover. 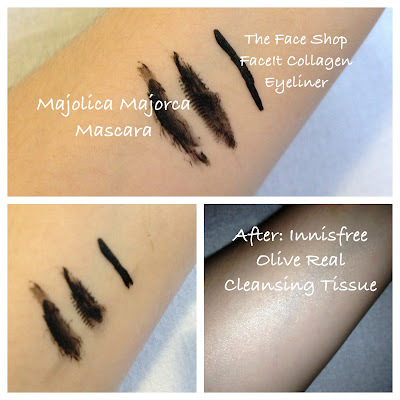 Innisfree Olive Real Cleansing Tissue: Product Features: With its rich, moisturizing ingredients and vitamin nutrients from the finest organicaly grown olives, this cleansing tisuue easily removes and cleanses makeup and impurities and moisturize your skin. My measure of efficacy of any makeup cleansing wipes is if it can remove Majolica Majorca Mascara with minimal swiping. You ought to know that Majolica Majorca Mascara lines are true to their water proof, smudge free, and lasting claims! ;-D Also, The Face Shop FaceIt Collagen Eyeliner needs also extra cleansing step, as it can't be remove by facial wash alone. 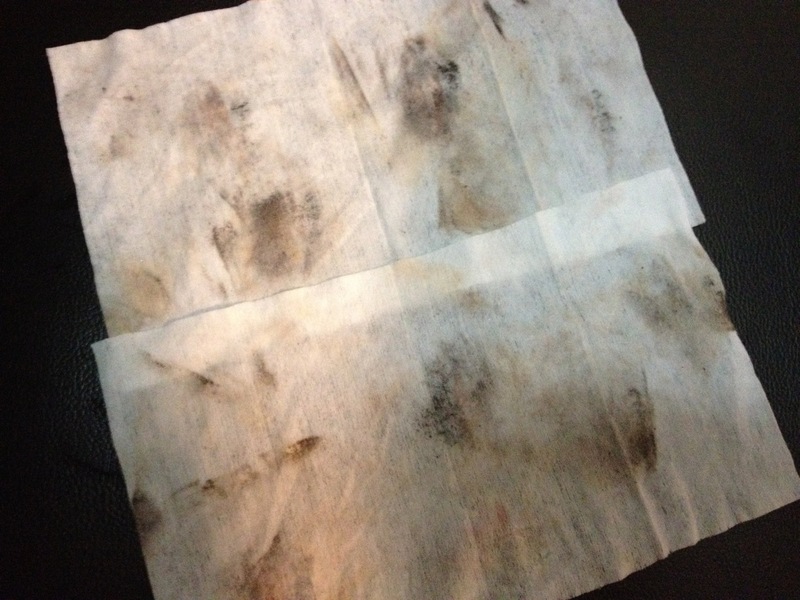 And yes, these wipes do their job with minimal effort. Before and After. Eye makeup overload. 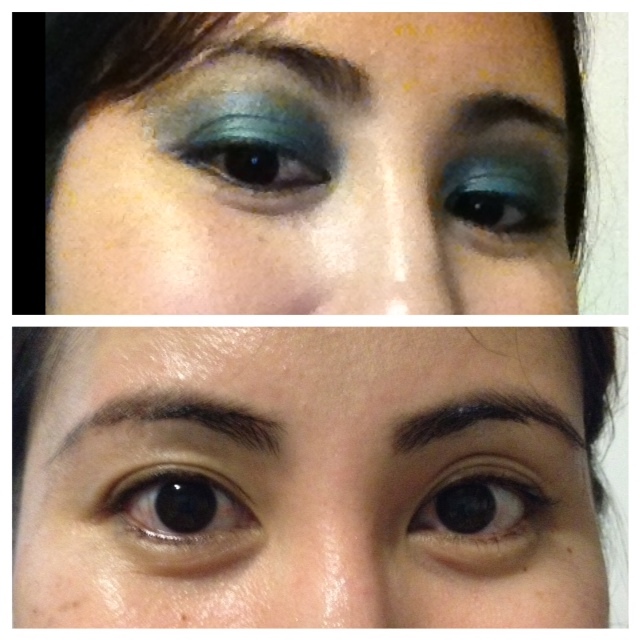 For a full eye makeup (the works!) removal, I use two tissues. One for full removal, one for under the eye. I use one under the eye, to reinforce mascara removal, also not to transfer makeup to the skin.But on usual everyday makeup removal, one tissue is enough. 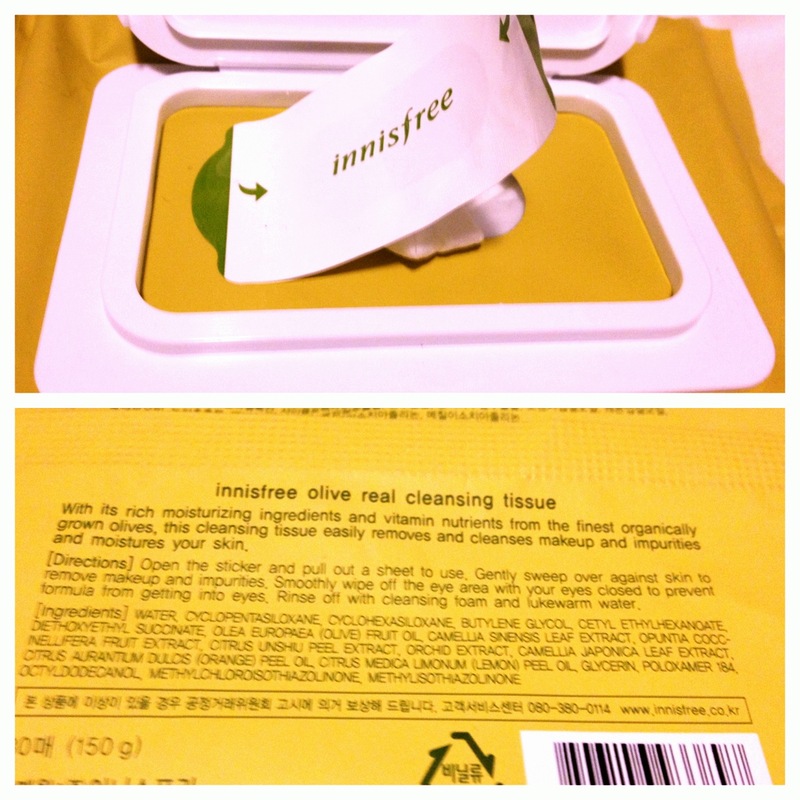 Innisfree Olive Real Cleansing Tissues. It's Olive-based, so yes, it's oily. So you need a good facial wash cleanser to remove any residues. It's fine by me really since I'd prefer to rinse-off. Rinse-off, can't be leave on. Availability, Innisfree is not yet officially available in my sunny Philippines except through online sellers. Overall, since it proves to be effective in removing my eye makeup mascara woes, plus have the Innisfree natural and organic goodness, I like it. I recommend it to those who need an effective and efficient waterproof makeup remover. It's not recommended to those who prefer water-based and no need to rinse-off cleansing products. Will I repurchase? Yes, I like the soft material vs. SkinFood's Seeweed Wipes.